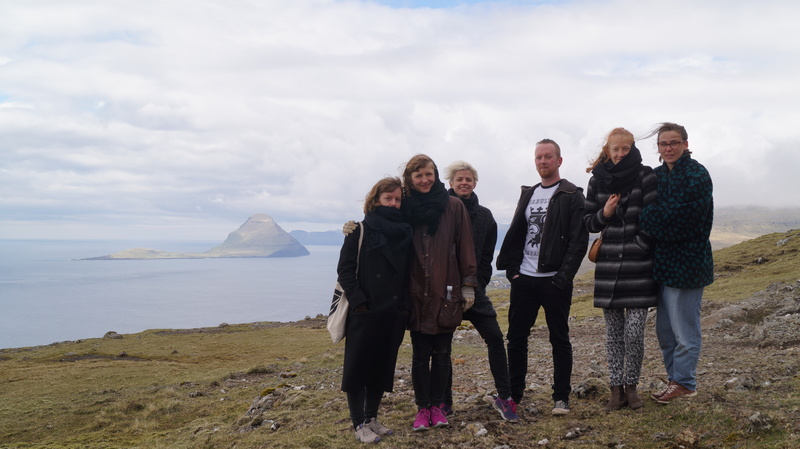 Here we are, the DEATHtour crew on the top of a Faroese mountain, halfway through the Nordic tour. Thank you Copenhagen, Malmö, Stockholm and Thórshavn for welcoming, supporting, challenging and inspiring us – it’s been a true pleasure meeting you on and off stage. An extra thanks to the ones participating in the audience talks and interviews connected to Collecting Thoughts on Collectivity – Nordic versions. AND thank you Ida-Elisabeth and Filip for being the cooleste people to have with on the road! Now we’re going to rest our tired bodies, minds and voices for a couple of days before it’s time to hit the road again – Aarhus 21-22 May, Reykjavik 29-30 May, Pyhäjärvi 23 July.